I just found a rash of old Hammerhead Theaters and will post them here for your reading enjoyment, or maybe whatever the opposite of enjoyment is. Feel my pain. HH: I love those poems. Whenever someone forwards them to me I print them out. I have stacks and stacks of them! Boss: I’m going to get a pedicure tomorrow. Hammerhead: Well, once I went to get a pedicure and the lady refused to touch my feet because of my snaggletoe! And on my left foot the bones stick out! Two doctors just came into the office looking for one of the managers. Doctors: Uh, Cheryl? Is she here? Doctors: [cutting her off] Well, can we leave a message for her? HH: I just LOVE wolves! Look at my calendar! It has wolves on every page. I just love their eyes. That’s what gets me about them. My kids got me a wolf bath towel for Christmas. And also a wolf throw pillow. And a wolf cup. HH: And they said they wanted to get me a wolf shower curtain! And I have lots of wolf figurines. HH: We’re getting a family portrait done on Sunday. New Lady: Are you going to get your hair done? HH: NO. I don’t do that! I do NOT get my hair done! HH: Well, I might go to my friend’s house and have her perm the back. NL: What are you going to wear? NL: Well, I KNOW. What kind of clothes? Aren’t you all going to get coordinated? HH: No. I’m just worried about what my son’s going to wear. He’ll probably show up in his mover’s uniform. Boss: Stephanie, do you want to go to a conference next week? Me: Do I have to? Hammerhead: Why does everyone get to go to conferences except me? I’m starting to feel LEFT OUT. Boss: We’ll find a conference for you to go to. Boss: We’ll know it when we see it. HH: You’ve been saying that forever! Me: They’re not all that great. HH: YOU JUST TAKE THEM FOR GRANTED! HH on phone: How many people have you got working over there, anyway? 500? There can’t be that many! You have transferred me so many times that I’m beginning to think you’re running a racket over there. What I want is to hang up and for you to call me to see if the call comes through. Yes. I’m very concerned about my cell phone because the date and the time disappear and all it says is “Verizon.” I don’t care about the word Verizon, I need to know the date and time! Not that my phone is Verizon! I KNOW my phone is Verizon! All right, all right, listen here. I’m going to hang up and you’re going to call me so I can PROVE to you that my phone isn’t working. YES, I RECHARGED IT!! JESUS CHRIST!! Anne the British nurse: Hammerhead, we can talk without shouting. Do you understand this? We can discuss without shouting. People may be walking by in the hall. HH: Yes, but I'm just VERY ADAMANT about my country! Anne: Do you understand what I'm saying, though? HH: I don't think I'm shouting though. We just shouldn't allow ANYONE from other countries over here. It's not right. HH: Yes, but Anne can speak English! Hammerhead: Lott's was having a car sale so I went on down there and got me a 2002 Chevy Tahoe pickup truck! Me: Wow, a brand new one? HH: Yup! But after I drove it home they called me and said that the financing didn't go through that that I would have to bring the truck back. And I told them, "You won't be getting your truck back, you'll be hearing from my lawyers!" After months of radio silence from Hammerhead, I encountered her last night. I went into work super late and she was there doing her night shift. Me: Did you have a good birthday? HH: Yeah, my daughter took me to the Drift On Inn for breakfast and she bought me some Mount St. Helen's ash earrings! They're made out of the ash from Mount St. Helen's! Then we went to the Cheesecake Factory and I picked out four flavors of cheesecake I wanted, but my daughter said she was only buying me one. It's okay though, because I stole a menu and now I can check off which flavors I've tried. Last night I stopped by work and Hammerhead was there, brewing coffee on her desk. Me: When did you get a coffee maker in here? HH: A long time ago! Where have you been? I drink a whole pot every night. And look in here...(she opens an overhead cabinet)...I got a full-size microwave too! Except the management said that I can't use it because they don't want cooking going on in the office. And I said, "It's not cooking, it's REHEATING!" Me: (taking note of a fountain on her desk that runs water through it) When did you get that fountain? HH: Oh, I just love it! It relaxes me. Well, it also makes me have to pee, especially since I drink a pot of coffee each night. I'm telling you, since I had my hysterectomy, I can't hold number one OR two! HH: Well, I only had a partial hysterectomy - they took my uteruses [sic] and my cervix out. And ever since then I can't hold nothin'. So when I feel the urge, I gotta RUN! Because more than once it's gone past the point of no return, if you know what I mean! Today HH is wearing a knee-length blue skirt made out of t-shirt material, with a white satin slip with lace edging hanging way below it. She has on socks and tennis shoes with no stockings, leaving her bumpy, veiny legs to flap in the breeze, and an orange t-shirt that said I LOVE MY ATTITUDE PROBLEM. She and the new lady were discussing their new favorite show, "I'm a Celebrity, Get Me Out Of Here." New Lady: I just love that Downtown Julie Brown. You'd think she'd be a wimp because she has a British accent, but she completes all her missions! HH: And Melissa Rivers wore a diaper full of maggots! New Lady: Yeah! She groused about it, but she got the job done! Hammerhead: I'm exhausted. I just got back from our union meeting in San Francisco. Me: How was your trip? HH: It woulda been a lot better if they had told me not to lock the locks on my luggage. Security ended up breaking all of them! I found this out when I got off the plane in San Fran. So I marched over to the counter and said "If you don't want the whole airport to hear me yelling, you'd better take me someplace private." So they took me in a little room and I explained to them that one of the locks had been my mother's and it was PURELY ORNAMENTAL. And it was missing! Then I found it later in my bag. Whew. HH: Yes, she's fine. She's real heavy. She's got a lot of padding. They got in the wreck cause they'd been drinking. And I asked "Did you have your seatbelts on?" and she said "We did by the time the cops showed up." HH: I was supposed to be out of the office an hour ago but I GOTTA FIND THIS DOCUMENT ON SHARON'S COMPUTER! Me: Actually, you don't need to fill out that document - I just send an email. It's a lot faster and easier that way. HH: But I NEED the document! And I gotta pee so bad but I GOTTA find it. Me: Why do you feel like you need to find it? HH: BECAUSE I KNOW IT'S ON HERE SOMEWHERE! God, I gotta pee. Me (talking out loud to no one in particular): Crap, I can't find the code for this diagnosis. Me (wondering if I should even bring this up with HH): Um, black stool. HH: Maybe he ate a bunch of spinach and artichoke hearts. That always makes MY stool black. Oooo, I've missed these. You're the breastest of breats. Are you a doctor? If so, feel free to respond to my question in the very appropriate Supergrass lyrics! This absolutely made my day. Hilarious! Oh Jesus, this made me die...I reached my saturation point with our office Hammerhead today. Again. I might actually love her a little bit...you know, from a distance. If you wrote this into a play I'd pay a lot of money to go and watch it. Maybe a few times in a row. Not kidding. 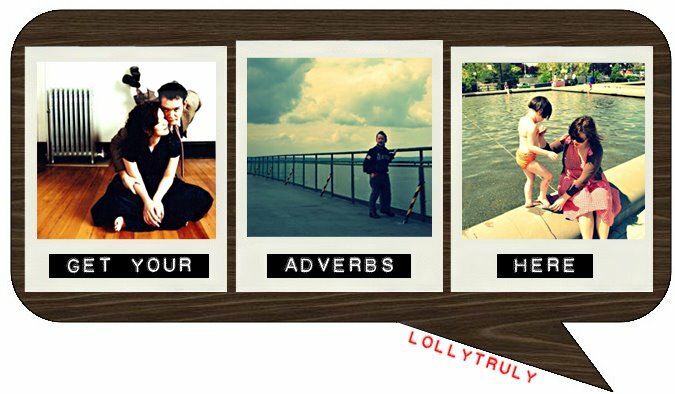 Did these ever appear on your old blog? They all look fresh to me. Oh Hammerhead, how I've missed you!